Let your voice be heard at any party or event. The Megaphone can reach up to 1000 yards away without raising your voice. It has great attention getting yelp feature to gather your guest's attention quickly. 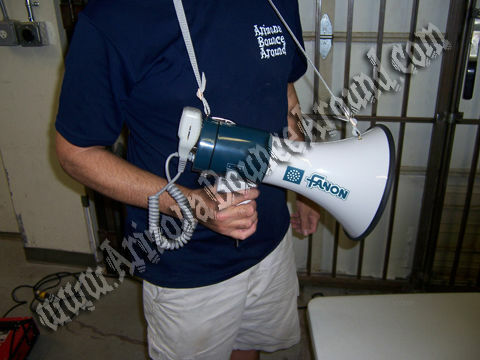 Our Megaphone features a shoulder strap and removable wired microphone for easy use during long events. Rent a Megaphone in Denver, Colorado Springs, Aurora, Fort Collins, Lakewood, Thornton, Arvada, Centennial, CO from Gravity Play Events for your next party.